The Brooklyn Museum of Art’s current exhibition, Materializing “Six Years”: Lucy Lippard and the Emergence of Conceptual Art, explores the impact of Lucy R. Lippard’s groundbreaking 1973 book Six Years and the development of the era’s highly influential conceptual art scene. In addition to works by 90 artists–including Vito Acconci, Eleanor Antin, and John Latham–the show features catalogues, photos, artist publications, and ephemera from key Lippard events. 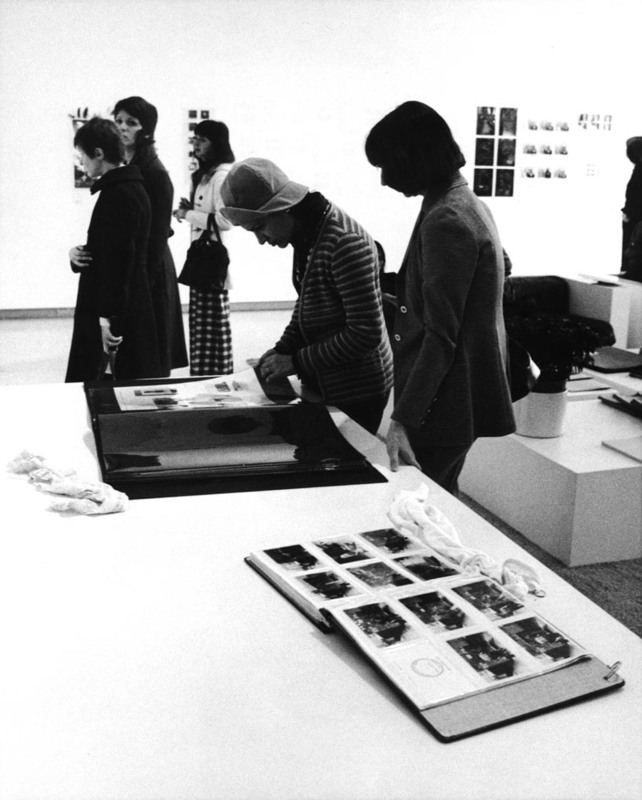 Among the objects presented to help illustrate the period are photographs and notes from Lippard’s exhibition at the Walker, c. 7,500, a November 1973 show of conceptual works comprised entirely of women artists. In early 1973, Lippard’s writing and interest in conceptual art was becoming well-known following a series of shows and essays, culminating with the release of Six Years, a compendium of Lippard’s writings that both catalogued and described the development of conceptual art, while introducing readers to the works of artists and collectives. 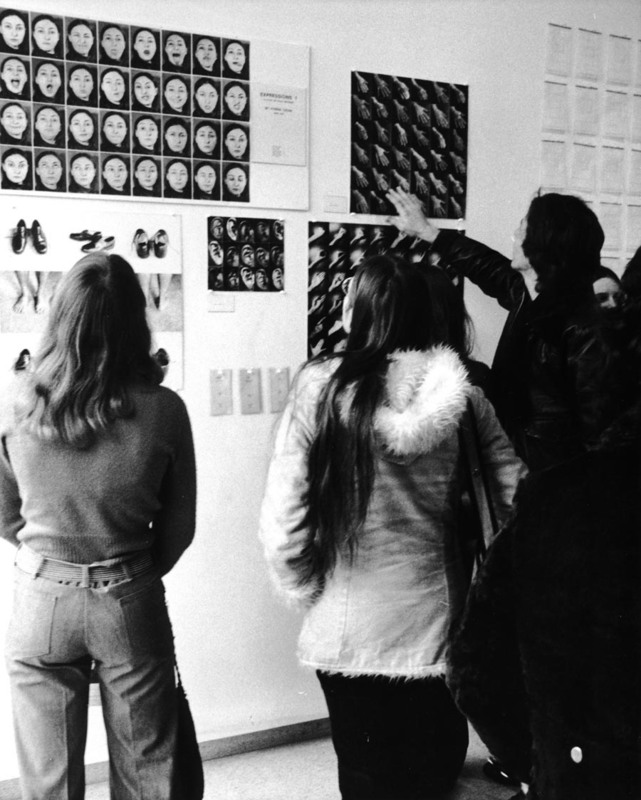 Beginning in 1969, Lippard’s conceptual art “numbers” shows were small affairs, curated solely by Lippard and accompanied by hand-made catalogues, composed of randomly arranged index cards designed by each artist and following brief descriptions from Lippard on how these works related and what conceptual art meant to her. Lippard’s seemingly vague exhibition titles were derived from the population of each show’s host city: 557,087 was held in Seattle, 955,000 in Vancouver, and 2,972,453 in Buenos Aires. Each edition varied in style, construction, and content, as Lippard noted in a letter to Walker director Martin Friedman when asked about her shows for planning purposes at the Walker. The show was also rather different from her previous exhibitions by its small scale and casual organization. 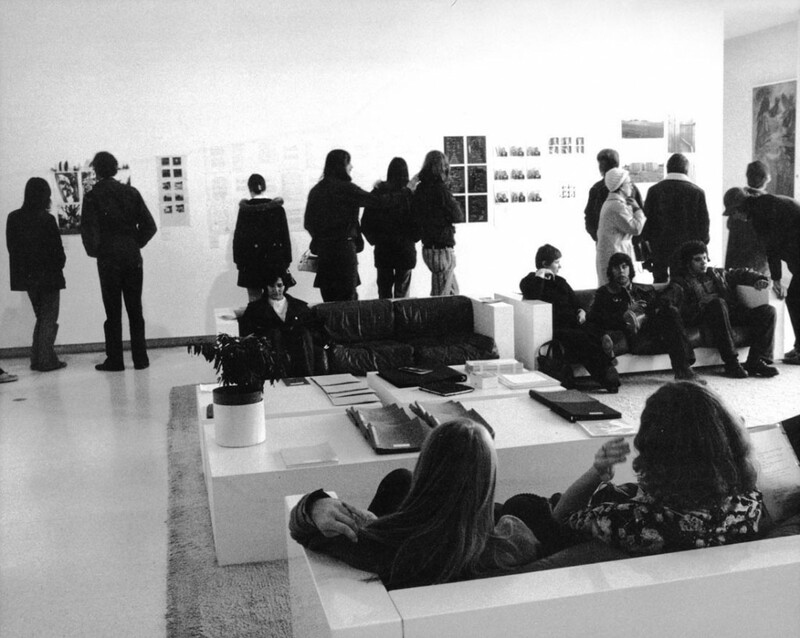 As she explained to Friedman, most of the work could easily be shown in “notebooks on a long table.” Consisting mainly of books, printed material, photographs, and audio recordings, the layout of the show was dependent on the space in each venue and could easily be changed to suit the available room, giving a more collaborative and laid-back feel to the show. Lippard described this as a far less “sculptural” show of her previous “Numbers” exhibitions. This casual aesthetic would eventually be a source of praise to the exhibition when held at the Walker. c. 7.500 was an important show for both Lippard’s career as well as the Walker. As Lippard’s work is revisited and her legacy is explored at the Brooklyn Museum, her brief stay at the Walker is an important part of that legacy and in the development of conceptual art.